This necklace is made of hammered sterling silver wire. 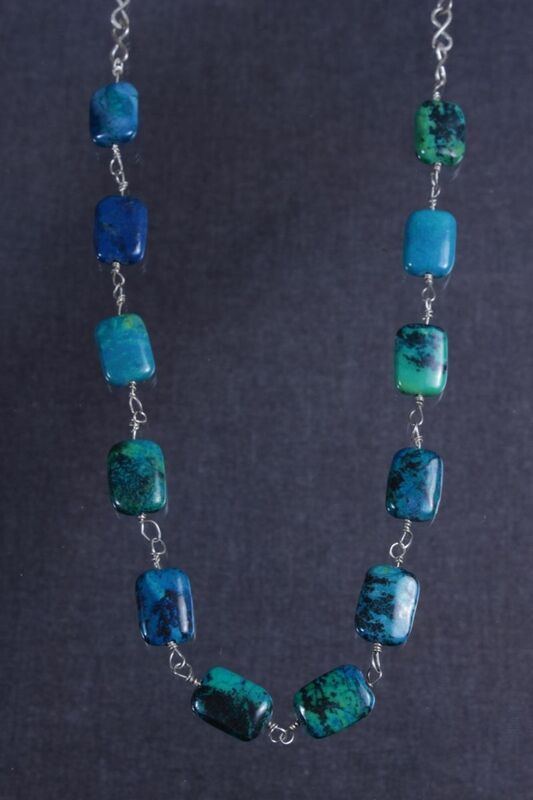 I inserted the silver wire to a gem-silica chrysocolla bead and sealed each end by coiling the metal. I then joined these beaded links to form an elegant 15-inch long silver necklace. It can be adjusted up to 22 inches long, as I added a few figure-8 links to it.